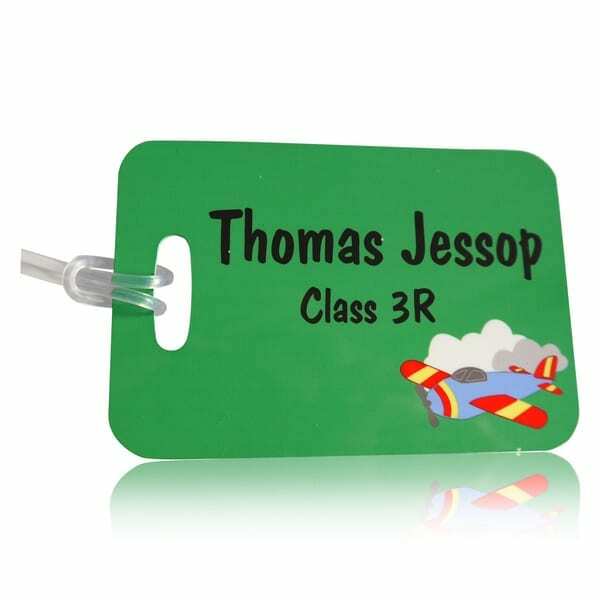 Our personalised luggage tags and bag tags are an essential, We offer a wide range of designs suitable for children and adults. 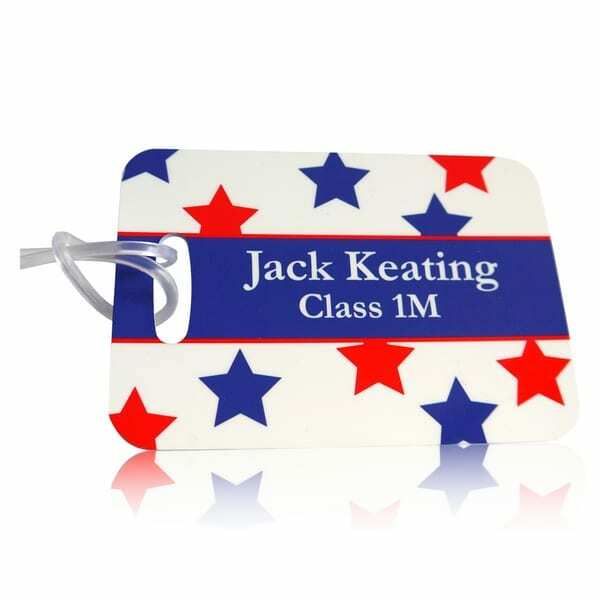 Personalised bag tags for kids are a must for helping them to identify their bag without fuss. 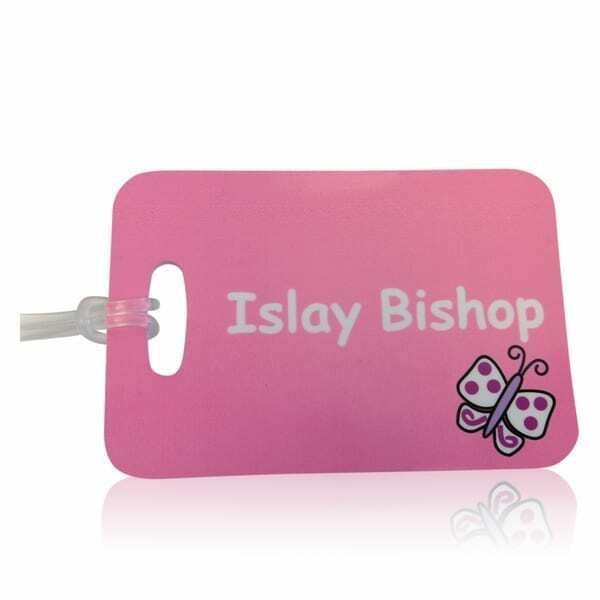 Brilliant for nursery, school or overnight bags. 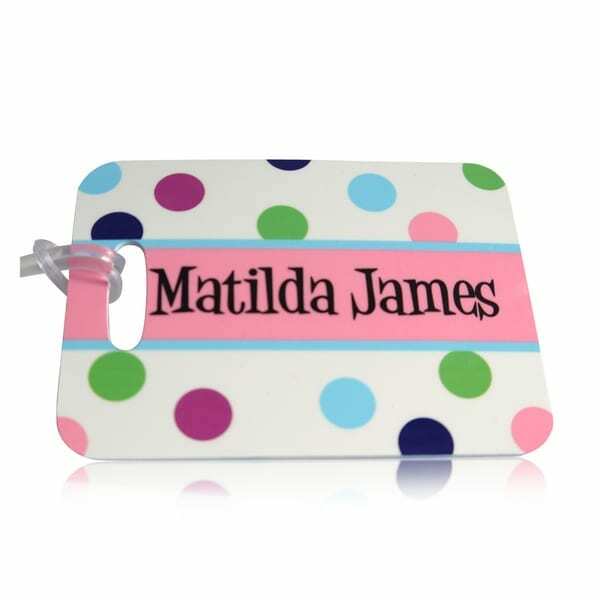 Children love the funky cool designs. 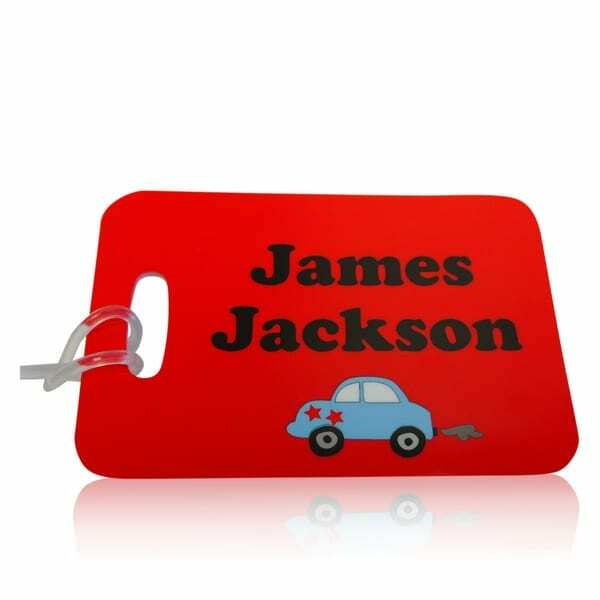 Our custom travel tags are made from a solid rigid plastic, making them waterproof and scratch resistant. 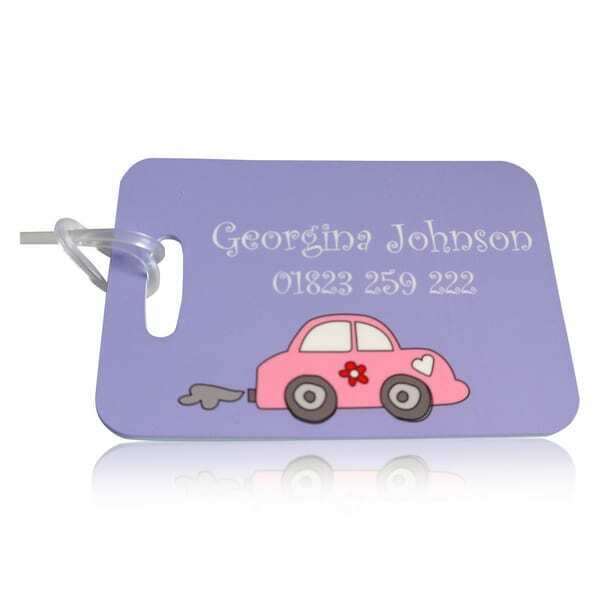 Many of our designs are suitable for suitable for the whole family. 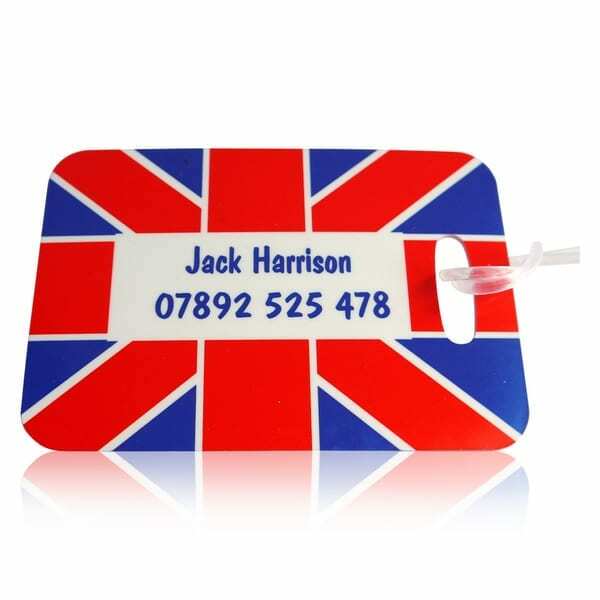 Travel suitcase tags help you to recognise your case in busy surrounding. And ensure no one else wanders off with your case. 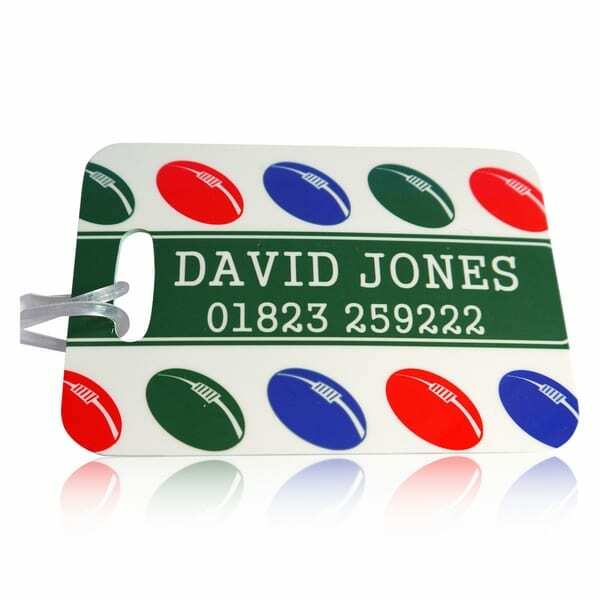 Get one tag for £8 or three for only £16, personalise your luggage tags online today!